Ambulance, fire and police emergency services in the Town of Mono are accessed by dialing 9-1-1. 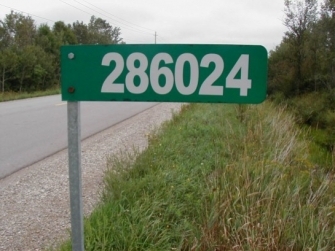 To be included in the 9-1-1 system, a property must have either a clearly visible street number (if in a subdivision) or a reflective white-on-green civic address sign at the end of the driveway (if in a rural area). If you need to obtain a civic address sign, please call the County of Dufferin Community Development Office at (519) 941-2338.